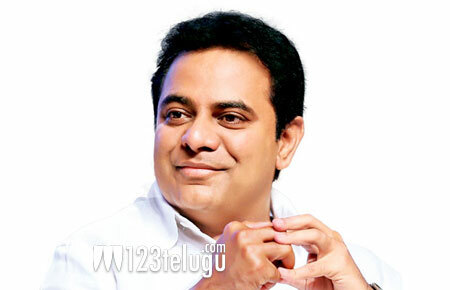 Telangana state’s Minister of IT & Municipal Administration KTR is one passionate movie buff. KTR never fails to appreciate good cinema via his Twitter page. The latest film to impress KTR is the sensational blockbuster, Arjun Reddy. KTR watched Arjun Reddy last night and took to Twitter early this morning and tweeted, “Raw. Intense. Honest. Original. Bold. Gutsy. Risqué #ArjunReddy. Kudos to Sandeep Reddy & Pranay. Vijay Devarakonda you’re a Rockstar”. Needless to say that KTR’s words echo with millions of movie lovers who are celebrating this cult movie.